Find location, hours, and parking information for ONE Archives here. A Subtle Likeness explores notions of biomythography and non-traditional archiving through performance, photography, collage, video, and sound installation. Inspired by Cheryl Dunye’s seminal film The Watermelon Woman and held in conjunction with the twentieth anniversary of the film’s release, the exhibition looks to collectively merge personal histories and recontextualized narratives to hold space for a queer, Black radical tradition. A Subtle Likenessfeatures work by four contemporary artists—Ayanah Moor, Paul Mpagi Sepuya, Anna Martine Whitehead, and Kandis Williams—whose diverse artistic practices resonate with the film’s themes. A Subtle Likenessincludes a performance by Chicago-based movement artist Anna Martine Whitehead. Using sound, text, costume, and “dance,” Whitehead will conjure her own mythology as a time-traveling forest-and-sea-dwelling shapeshifter touching down on planet Earth in 2016. Presented at the exhibition’s opening, the performance’s traces will remain on view through the run of the show. Los Angeles-based photographer Paul Mpagi Sepuya will present photographic prints inspired by Richard Bruce Nugent’s short story Smoke, Lilies, and Jade published in 1926. Nugent was a Harlem Renaissance writer and painter who is largely considered one of the first openly gay Black authors. 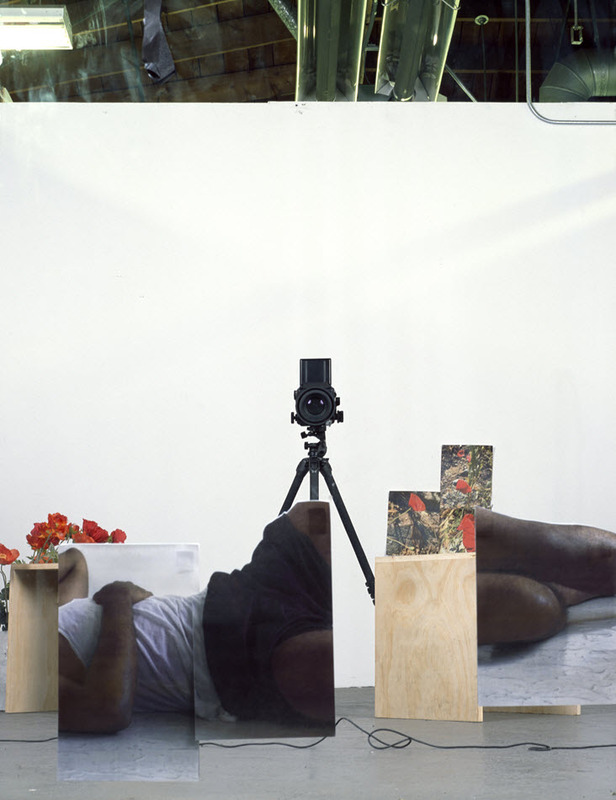 Sepuya’s photographs capture fractured self-portraits in his studio space as the body intersects with the camera, redirecting the traditional gaze of the photographer. Collages by Berlin-based artist Kandis Williams will be accompanied by a commissioned reader based on sourced material found at ONE Archives around the cinematic history of hysterical women archetypes in examining the philosophies and implementation first-wave feminism. Chicago-based multidisciplinary artist Ayanah Moor will be represented by the sound installationAll My Girlfriends and video I Need Love. In All My Girlfriends, Moor lovely reads twenty-five years of entries to Jet magazine’s “Beauty of the Week.” Since 1952 the African American weekly has published full-page photographs depicting women of color in either bikinis or one-piece swimsuits accompanied by their name, city of residence, occupation, hobbies, and, often, physical measurements. Through Moor’s recitation she performatively transforms the assumed male viewership of the entries. In I Need Love, Moor sings LL Cool J’s song of the same title, subverting the largely male-dominated world of Hip Hop through her embodiment of the lyrics. A Subtle Likeness is accompanied by the exhibition Memoirs of a Watermelon Woman, also on view at ONE Archives, presenting archival ephemera from the production of The Watermelon Woman. A Subtle Likeness is curated by Erin Christovale. Support is provided by the ONE Archives Foundation.